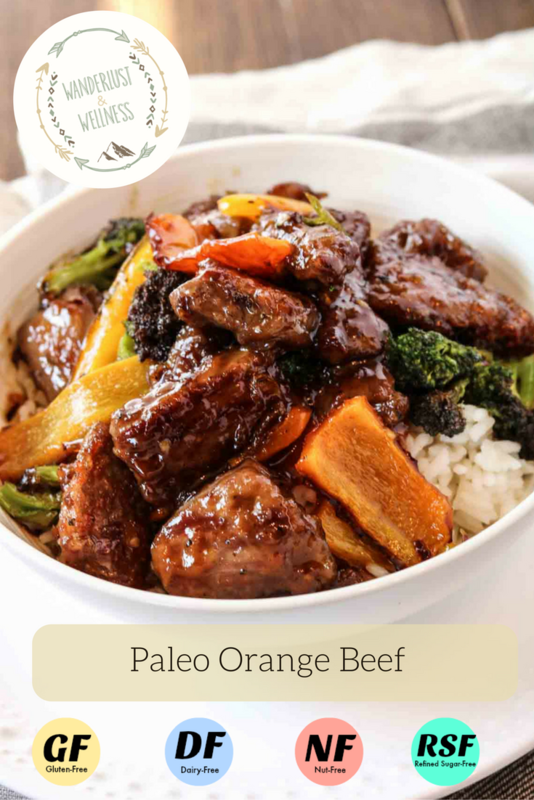 This Paleo orange beef will give you all the flavor of your favorite Chinese food without the not-so-good ingredients found in most restaurant chain Chinese food. 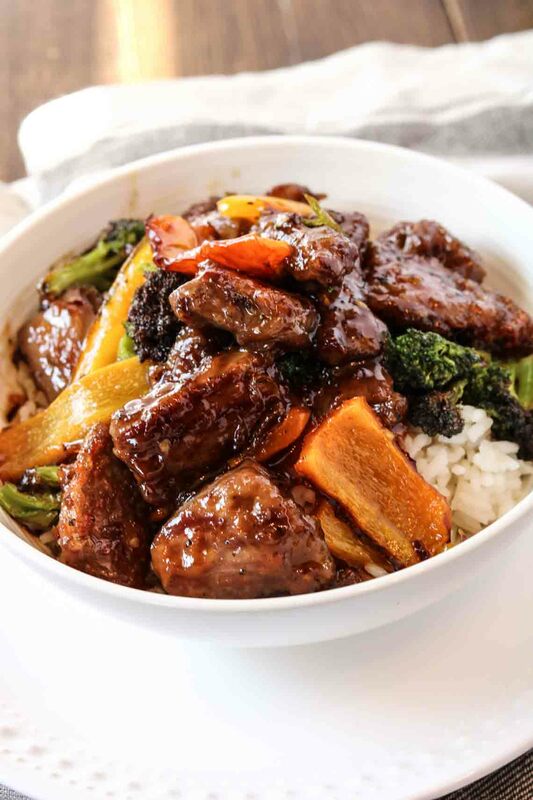 My favorite dishes include General Tso’s and Orange beef/chicken. However, to get that nice sweet flavor most restaurants are adding in high-fructose corn syrup and other unfavorable ingredients. I adapted this recipe for at home and the results were phenomenal! No more takeout on speed dial, I can make my own at home! I also used this dish as an excuse to get in some extra vegetables. I am NOT a broccoli fan, I’m just not. But, if I disguise it with other ingredients I can tolerate it…and I mean tolerate. Add in some red, orange or yellow peppers for some additional nutrient add-ons, too! I also avoid soy, which is a common ingredient in many Chinese dishes where soy sauce is used (not to mention the high sodium content). This is where coconut aminos comes in. It is the best soy sauce alternative I’ve found that doesn’t contain soy or any MSGs. I also added in some red pepper flakes to give it a kick like General Tso’s! You could easily replace the beef with chicken and still get the same results. In a large skillet, heat 3 tbsp. of sesame oil over medium heat. Slice flank steak into thin strips, then slice again into about 1 inch pieces. Coat steak pieces in tapioca flour, then place into sesame oil. Cook for about 3 minutes on each side or until both sides are browned. While steak is cooking, melt coconut oil in a separate skillet and add in broccoli and peppers. Saute on medium-low, stirring occasionally. Add an additional 1-2 tbsp. of sesame oil to the skillet. Add in orange zest, minced garlic, salt, pepper, and red pepper flakes. Toast briefly (you do not want to over-brown this so keep the temperature low). Stir in sugar and juice mixture and turn heat up to high and bring to a boil, stirring constantly. Cook until the sauce becomes thick and glossy, like a glaze. 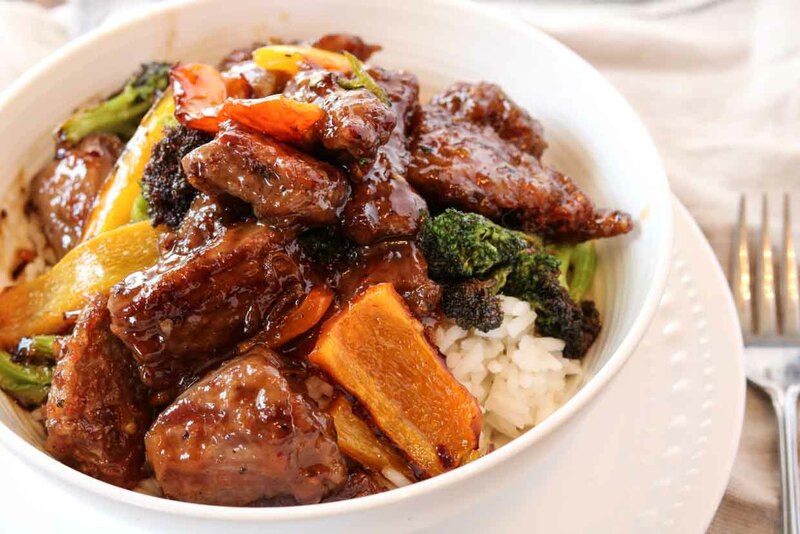 Turn heat to low and add in vegetables and beef, stir to coat. 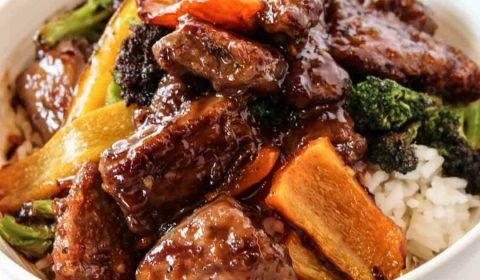 Serve orange beef over a bed of cooked rice.